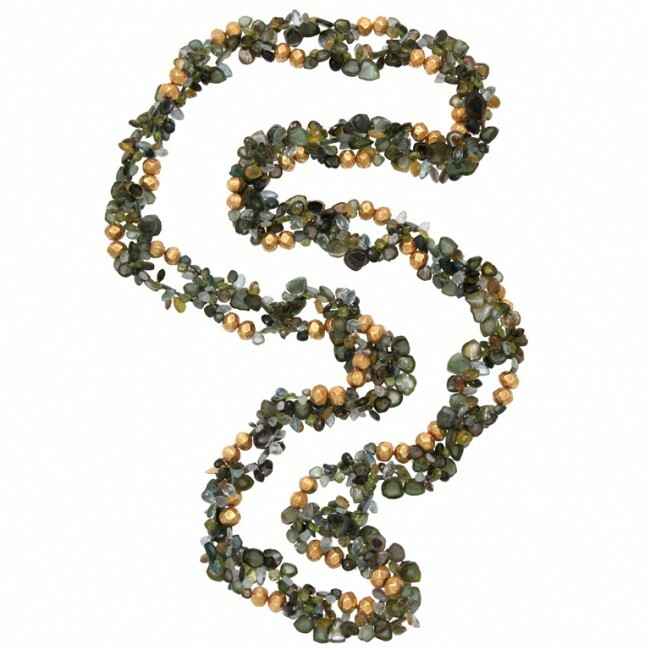 A necklace composed of sliver watermelon tourmaline, peridot and aquamarine leaves. There are hand made 22kt yellow gold berry beads scattered in between the stone links. Materials/Techniques: tourmaline, peridot, aquamarine and 22kt yellow gold.